How much do Packers suites cost? 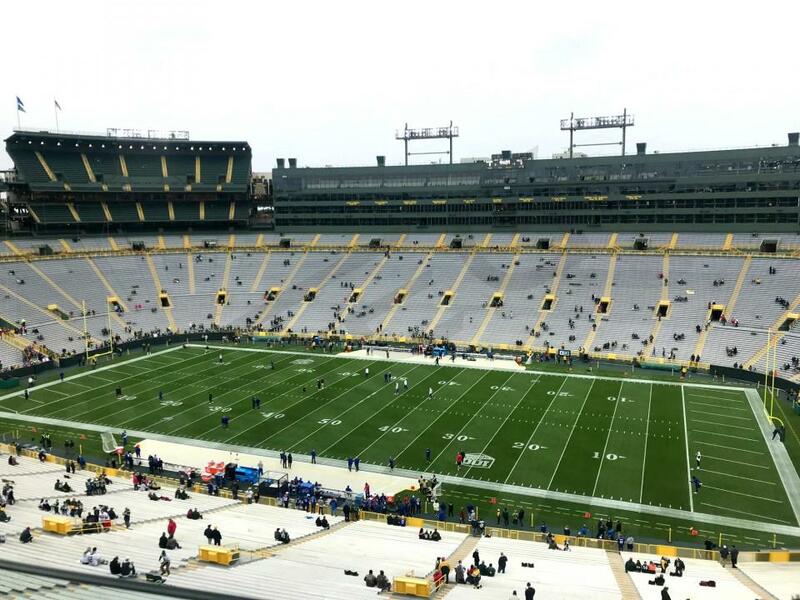 Prices typically range from $12,000-$25,000 for fully private luxury boxes at Lambeau Field. Pricing will vary based opponent, day of the week, and suite location. Luxury suite prices for concerts and other events at Lambeau Field can vary widely based on the type of event. 4000 Level Suites are on the lowest suite level at Lambeau Field. These suites run along the East and West sidelines of the stadium. Lambeau Field Luxury suites generally accommodate 16-20 guests. 4000 Level Suites offer a luxurious climate-controlled interior complete with a bar and kitchenette and multiple HDTVs. The suite is enclosed by retractable glass windows that can be opened or closed throughout the game. Most 4000 Level Suites come with 2 VIP parking passes; all suites include access to suite concourse clubs and a private suite entrance. 5000 Level Suites are located on the middle tier of suites at Lambeau Field. These suites run along the East and West sidelines of the stadium. Lambeau Field Luxury suites generally accommodate 16-20 guests. 5000 Level Suites offer a luxurious climate-controlled interior complete with a bar and kitchenette and multiple HDTVs. The suite is enclosed by retractable glass windows that can be opened or closed throughout the game. Most 5000 Level Suites come with 2 VIP parking passes; all suites include access to suite concourse clubs and a private suite entrance. 6000 Level Suites are on the second highest suite level at Lambeau Field. These suites run along the East and West sidelines of the stadium. Lambeau Field Luxury suites generally accommodate 16-20 guests. 6000 Level Suites offer a luxurious climate-controlled interior complete with a bar and kitchenette and multiple HDTVs. The suite is enclosed by retractable glass windows that can be opened or closed throughout the game. Most 6000 Level Suites come with 2 VIP parking passes; all suites include access to suite concourse clubs and a private suite entrance. 7000 Level Suites are the highest suite level at Lambeau Field and only run along a portion of the West side of the stadium. 7000 Level Suites offer an expansive, birds eye view of the entire stadium. 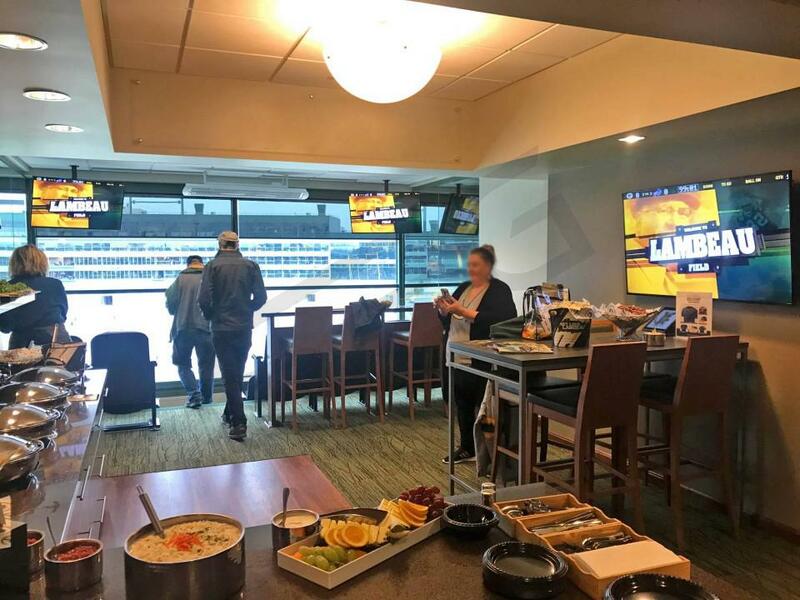 7000 Level Suites are configured slightly differently from other traditional private suites at Lambeau Field, but they will include similar amenities. Terrace Suites are the newest suite level at Lambeau Field, and were added during a 2013 renovation project. Terrace Suites are unique in that they include an outdoor, open-air seating area (balcony). Terrace Suites also come with food and non-alcoholic beverages - alcohol can be purchased at additional cost. Lambeau Field features four main suite levels located on the East and West sidelines. The suite levels are stacked directly on top of one another. In 2013, a new semi-private suite option (Terrace Suites) was added to the North end zone. Suites at Lambeau Field come in multiple sizes and configurations. Most suites accommodate groups of 16-24. The smallest suite option, Terrace Suites, are perfect for groups of 10-12. There is a wide range for suite prices at Lambeau Field. 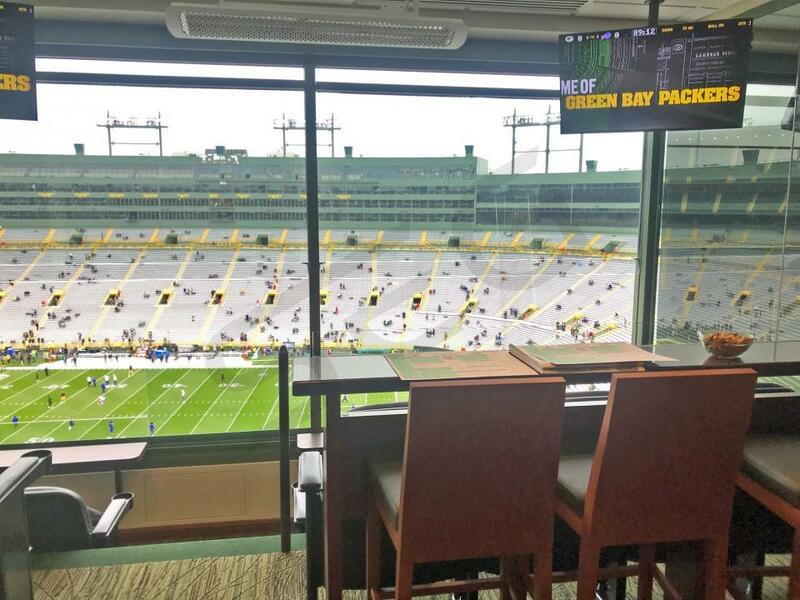 Suite rentals for a Green Bay Packers game can range from $10,000-$25,000 depending on opponent, suite size, and suite level. NFC North divisional rivalry games against the Chicago Bears and Minnesota Vikings will be priced at a premium; as will primetime games played on Monday, Thursday, or Sunday nights. In-suite catering is available for all suites at Lambeau Field. The menu includes a wide range of premium food and beverage options provided by Delaware North Sportservice. 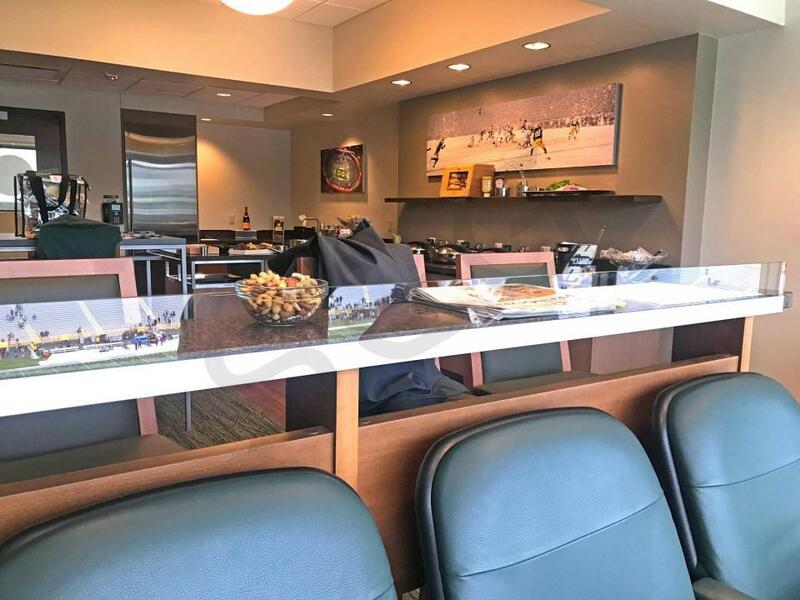 Most suites at Lambeau Field do not include catering in the base price of the suite, so be sure to allocate additional funds to cater your suite. 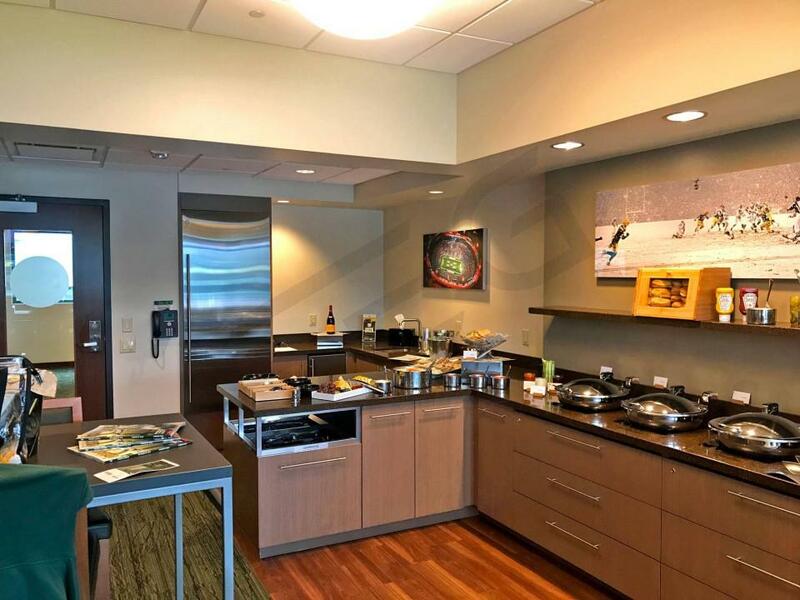 On average, SEG customers at Lambeau Field will spend $1,500-$2,500 per group on in-suite catering. There is no catering minimum at Lambeau Field. The Associated Bank Club Level & Atrium features premium food kiosks and cash bars serving premium beer, wine, and liquor. 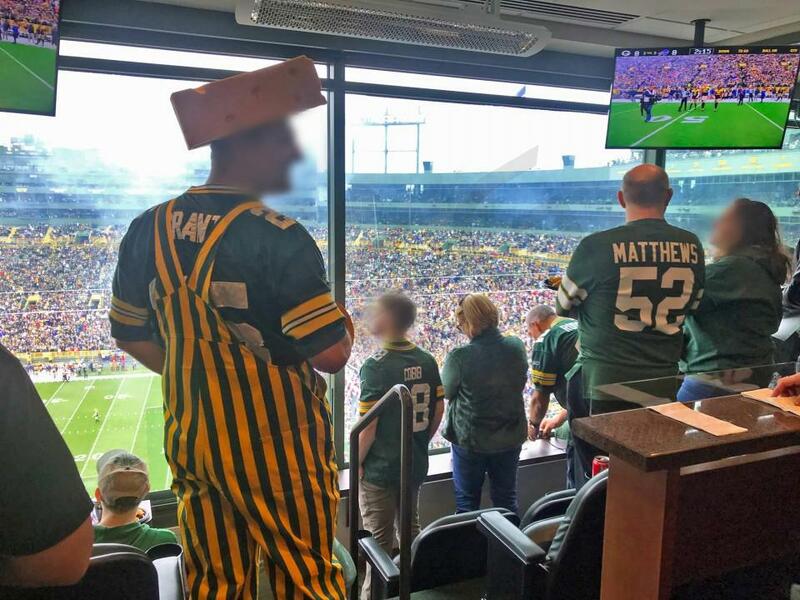 There is no specific dress code for Lambeau Field suites. Corporate groups typically dress in business casual attire. All individuals, regardless of age (babies included), must have a ticket to enter Lambeau Field. VIP Parking Lots open 4 hours prior to kick-off for premium pass holders. Cash parking is available on many residential streets/private properties within walking distance of the stadium. All stadium gates open 2 hours prior to kickoff. Suite ticketholders can use the VIP Entrance at the American Family Insurance Gate located on the stadium’s east side (near the large Lombardi Trophy). Upon entry, guests should take the escalators to the 4th level (first suite level). The Johnsonville Tailgate Village is a large pre- and post-game tailgate structure. The Village is located on the east side of the stadium at the Oneida Gate. It is a popular gathering spot with live bands, TV’s, food and beverage, and an open-air party deck. This tailgate is open to the public. In 2018, Aaron Rodgers and the Packers look to return to the playoffs and contend for a Super Bowl. Rodgers is a surefire Hall-of-Famer and undoubtedly one of the most exciting players in the NFL. With Rodgers at the helm, the Packers are committed to winning now. This offseason, the Packers made a statement acquisition by signing the best tight end on the market, Jimmy Graham. The 6’7” Graham will give Rodgers a deep threat down the middle and a huge red zone target. Davante Adams returns as Green Bay’s new number one receiver with the departure of Jordy Nelson. Adams is a superb route runner and an exciting playmaker in space. The running game in Green Bay will once again be handled by committee. Expect Jamaal Williams, Aaron Jones, and Ty Montgomery to share carries as each brings a unique skillset. Both Williams and Jones are coming off promising rookie seasons. Aaron Rodgers will be protected by a perennially underrated offensive line. David Bakhtiari and Bryan Bulaga (when healthy) are an elite combination of pass-blocking tackles. If Bakhtiari and Bulaga can keep Rodgers healthy for 16 games, expect the Packers offense to perform at an elite level. The Packers defense will look dramatically different in 2018 under new defensive coordinator Mike Pettine. Pettine will look to rebuild this Packers defense with youth and athleticism. Packers fans are optimistic that defensive woes of the past decade can be fixed under a new scheme. The strength of the Packers defense in 2018 should be their defensive line. Defensive tackle Mike Daniels brings grit and intensity, and, together with second year lineman Kenny Clark, will form the core of an explosive line. Scouts expect a Pro-Bowl caliber year from Clark in 2018. The Packers emphasized their committment to building a championship-caliber defense by signing free agent defensive lineman Mo Wilkerson in free agency. Wilkerson arrives in Green Bay on a 1 year "prove it" deal. At the top of his game, Wilkerson can be a dominant player. Clay Matthews returns for his 10th season as the leader of this Packers defense. Safety Ha-Ha Clinton-Dix anchors a young secondary with much to prove. Once again, the Green Bay Packers are a legitimate Super Bowl contender in 2017 and they'll continue to be a perennial contender as long as quarterback Aaron Rodgers remains under center. The future Hall-of-Famer and 2X MVP is widely regarded as the most talented quarterback in the NFL. Rodgers will be surrounded by plenty of weapons in 2017; wide receiver Jordy Nelson is fully healthy and will return as the number one receiver. Flanking Nelson will be breakout star Davonte Adams while Randall Cobb returns as a valuable slot receiver. Next season, the Packers will rely on Ty Montgomery as a full-time running back. Montgomery is a converted wide receiver who brings unique versatility to the position. In the offseason the Packers made an uncharacteristically big free agent signing acquiring tight end Martellus Bennett. Bennett is a unique dual-threat tight end. Bennett's size and speed could take an already elite offense to another level. The Packers offensive line has been a consistently underrated group for years. Although guard TJ Lang left via free agency, the team returns veterans Corey Linsley, David Bakhtiari and Bryan Bulaga. Last season, Bakhtiari was graded as the best pass-blocking left tackle in the NFL by Pro Football Focus. Veteran guard Jhari Evans will replace Lang. The most recognizable star for the Packers defense is linebacker Clay Matthews. When healthy, Matthews is the most dynamic playmaker on Green Bay's defense. The Packers went heavy on defense in the 2017 NFL Draft. Look for second round pick, cornerback Kevin King, to be a starter immediately. The Packers also drafted a hybrid linebacker/safety in Josh Jones. Jones will patrol the field in front of Pro-Bowl free safety HaHa Clinton-Dix. The Packers need much improved play from their secondary to make a Super Bowl run in 2017. Pass-rushing OLB Vince Biegel, drafted in the fourth round from Wisconsin, will be used to spell linebackers Nick Perry and Clay Matthews when needed. 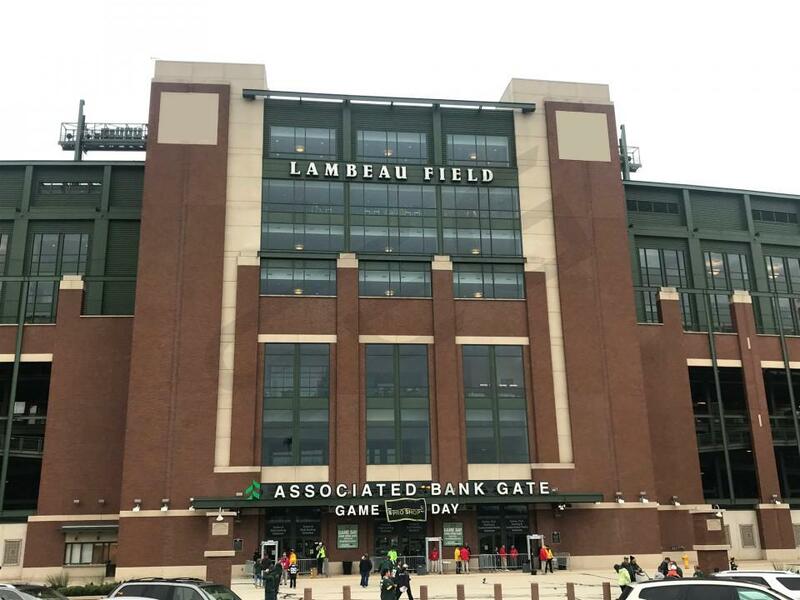 Lambeau Field is perhaps the most storied venue in the National Football League. 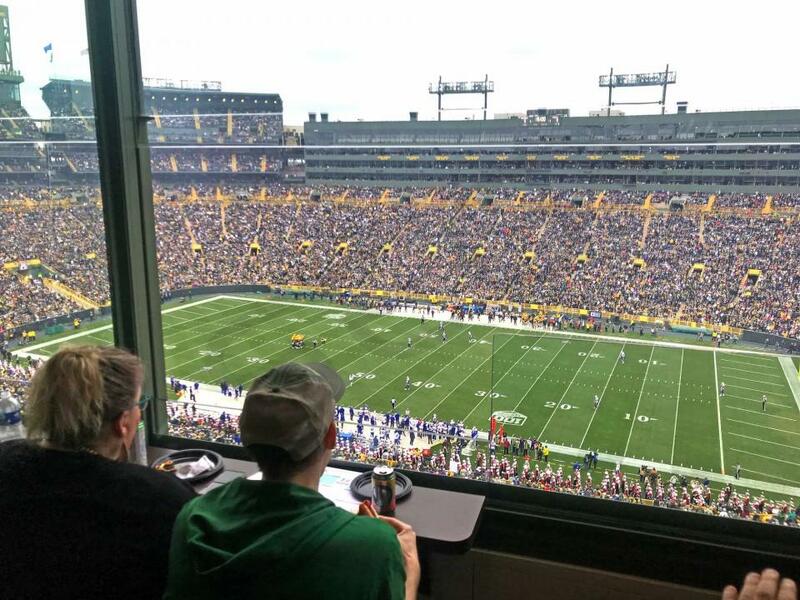 Lambeau Field luxury suites typically accommodate 16-24 people. Suite will also come with VIP parking passes, private access to stadium clubs, and a private entrance. When the weather turns, Lambeau Field suites are a perfect way to experience Packers football in a climate-controlled environment. Suites feature modern designs, updated amenities, and luxurious lounge seating. Whether entertaining for business or pleasure, suites are a fantastic way to experience iconic Lambeau Field. Offense: The Green Bay Packers were a playoff team in 2016 after winning ten games on the year but 2016 was a bit of a disappointment because the Packers got booted in the second round of the playoffs by the Arizona Cardinals. Lucky for the Packers they can once again count on future Hall of Famer Aaron Rodgers. The two-time MVP had a down year last year for his standards but was still exceptionally successful as he finished with 31 touchdowns and only 8 interceptions. Rodgers struggles likely stemmed from the fact that All-Pro wide receiver Jordy Nelson tore his ACL at the beginning of the year, but in 2016 Jordy will be back and ready to dominate again. On the other side of the field, Randall Cobb is also ready to bounce back from a disappointing 2015 season. The explosive athlete is probably thrilled that Jordy Nelson is back to take on the top cornerbacks in the league this year. Running back Eddie Lacy also struggled last year because of weight issues and was not nearly as productive as previous seasons. In fact 2015 was the only season in his career in which Lacy did not reach 1,000 rushing yards. After working out with P90X creator Tony Horton in the offseason the Alabama product is ripped and ready to tear up NFC North Defenses. The Packers offensive line has been a steadily great group for years and behind TJ Lang, David Bakhtiari and Josh Sitton it will continue to perform. Head Coach Mike McCarthy is one of the best offensive minds in the league so it will be exciting to see what he does with this unite. Defense: The most recognizable defense star for the Packers is definitely linebacker Clay Matthews. Matthews has been the face of numerous advertisements but is definitely the heart of this packers defense. Last year Matthews had to move to inside linebacker after lining up outside the entirety of his career up to last year and he still played very well. Luckily the Packers have enough linebackers for Matthews to move back outside. Blake Martinez, a stanford product and 2015 fourth round pick will compete with incumbents Jake Ryan and Sam Barrington. On the defensive line, consistent star Julius Peppers had another All-Pro season after coming to Green Bay in the offseason. The former two sport star at North Carolina had 10.5 sacks and put constant pressure on opposing quarterbacks. The Packers are expecting big things from 2015 first-round draft pick and UCLA product Kenny Clark at defensive tackle who will replace the retired BJ Raji. Schedule: The Packers play their home games at one of the NFL’s most iconic venues, Lambeau Field. In 2016, the Packers will have a tough home schedule. They host the Oakland Raiders, Detroit Lions, New York Giants, Dallas Cowboys, Chicago Bears, Indianapolis Colts, Houstan Texans, Seattle Seahawks and Minnesota Vikings. With Lambeau Field being the most notoriously cold stadium in football, luxury suites are a great way to keep warm and enjoy the game. 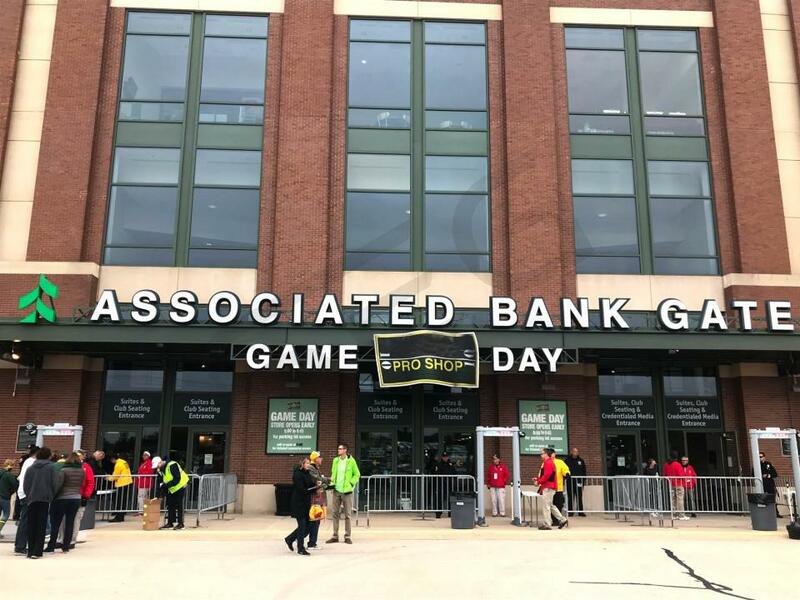 Lambeau Field suites include: 16-24 tickets, 2 VIP parking passes, private access to stadium and stadium clubs, private suite attendant, climate-controlled environment, premium seating and HDTV’s. A Packers suite is perfect for any occasion. 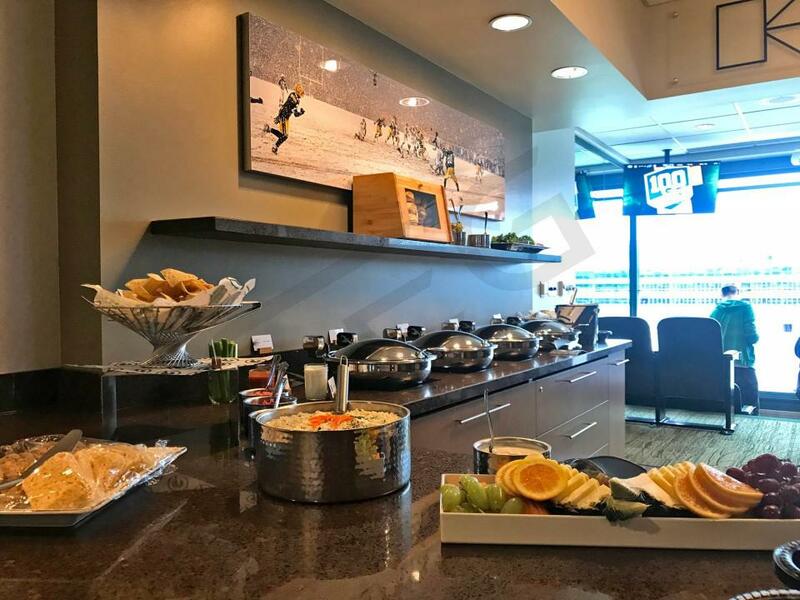 Whether you are hosting clients or employees or enjoying the game with friends and family, a Packers suite will provide you with the ultimate VIP experience. Also in September the Wisconsin Badgers will take on the LSU Tigers at Lambeau Field. The Green Bay Packers are heading back to the frozen tundra at Lambeau Field for the 2014 NFL season. Quarterback Aaron Rodgers will drive the productive Packer offense, while linebacker Clay Matthews will continue to lead the defense. Green Bay won the NFC North in 2013 despite many injuries to their key players. They finished with an 8-7-1 record. If the Packers' weapons can remain healthy all season they are the favorites to win the NFC North once again. This year the Packers will be hosting the New York Jets, Minnesota Vikings, Carolina Panthers, Chicago Bears, Philadelphia Eagles, New England Patriots, Atlanta Falcons and the Detroit Lions. With Lambeau Field being the most notoriously cold stadium in football, luxury suites are a great way to keep warm and enjoy the game. Luxury suites at Lambeau Field include: 16-24 tickets, 2 VIP parking passes, private access to stadium and stadium clubs, private suite attendant, climate-controlled environment, premium seating, HDTV’s. The Green Bay Packers are heading back to the frozen tundra at Lambaeu Field for the 2013 NFL season. Quarterback Aaron Rogers will drive the productive Packer offense, while linebacker Clay Mathews will continue to lead the defense. Coming off a 15-1 season, the Green Bay Packers are seeking the same regular season results, with a better playoff outcome. The Packers hold the NFL record for world Championships with 13 total, are on planning on making it 14 in the 2013 NFL season. With Lambeau Field being the most notoriously cold stadium in football, luxury suites are a great way to keep warm and enjoy the game. Luxury suites at Lambeau Field include: 16-24 tickets, 2 VIP parking passes, private access to stadium and stadium clubs, private suite attendant, climate-controlled environment, premium seating, HDTV’s. Thank you for signing up for specials at Lambeau Field. Enter your email address below to stay in touch. We'll sign you up for our newsletter, which will inform you of the latest inventory and events at Lambeau Field. We promise we will never sell or distribute your information. 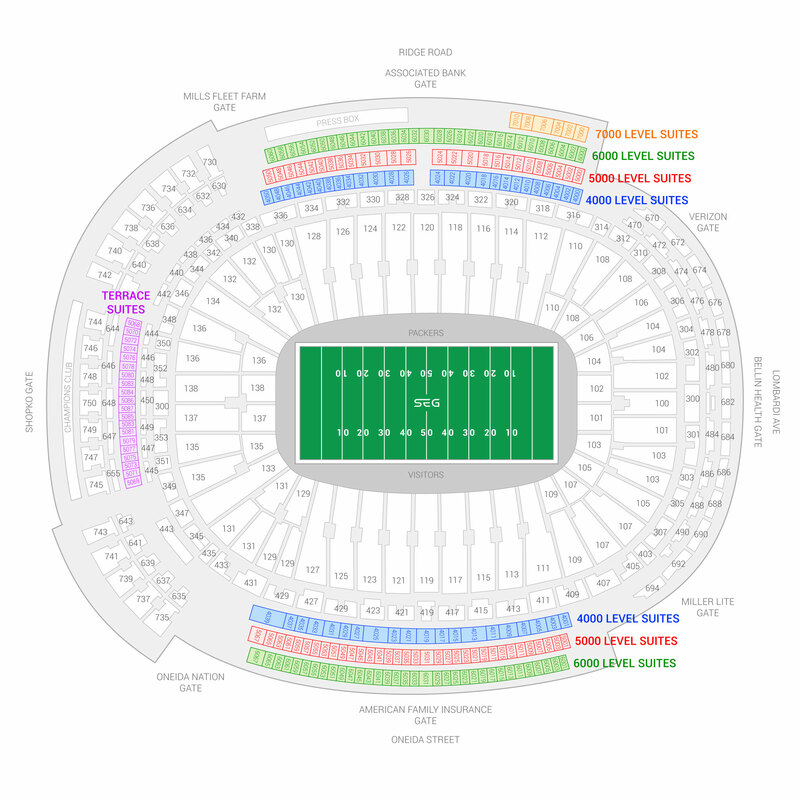 The seating chart below shows where the Green Bay Packers suites at Lambeau Field are located.